Yay! 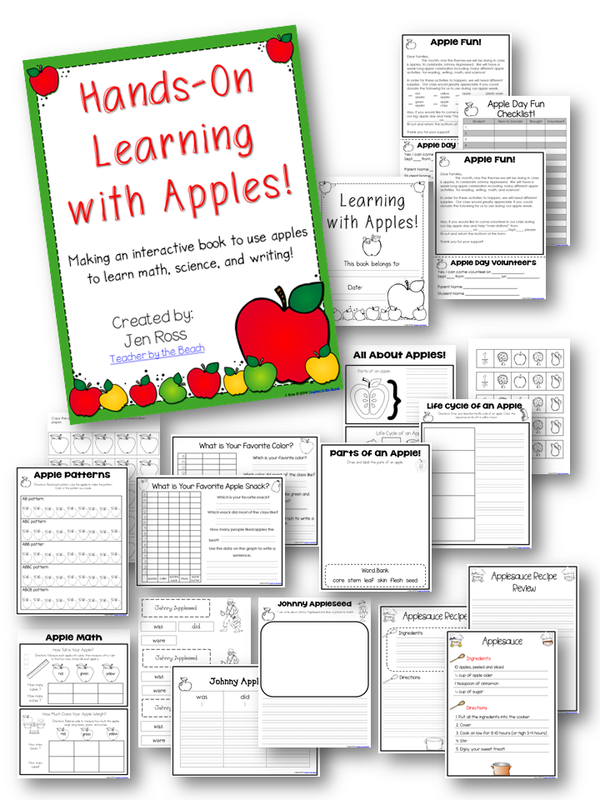 Apple Week is upon us!! 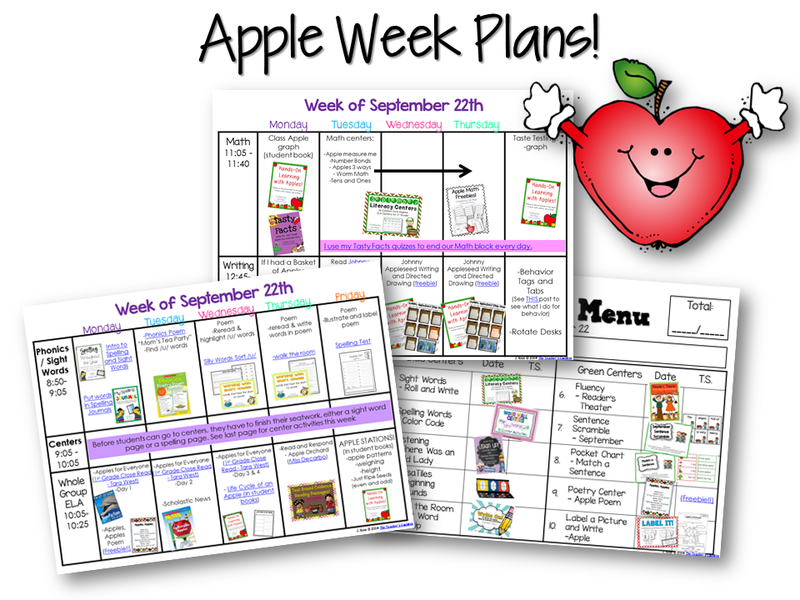 I just love this week... among many other weeks, but right now let's just focus on Apple Week. ha! 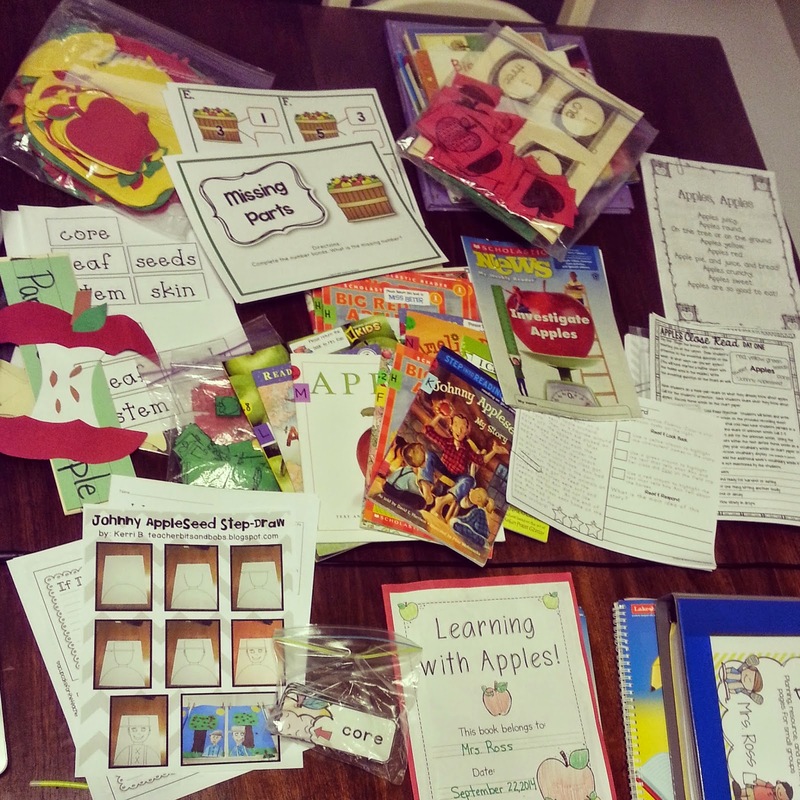 I brought home all my apple stuff that I thought I would be able to use for 1st grade so I could see what could do with it all. So, here are my plans for the week. I don't even know where I'm got all of my activities from...some of them I've had for YEARS. And, unfortunately, some of the stuff I've downloaded doesn't have a name on it anywhere...so I don't know where I got it. BUT, if I do know, then I linked it for ya! 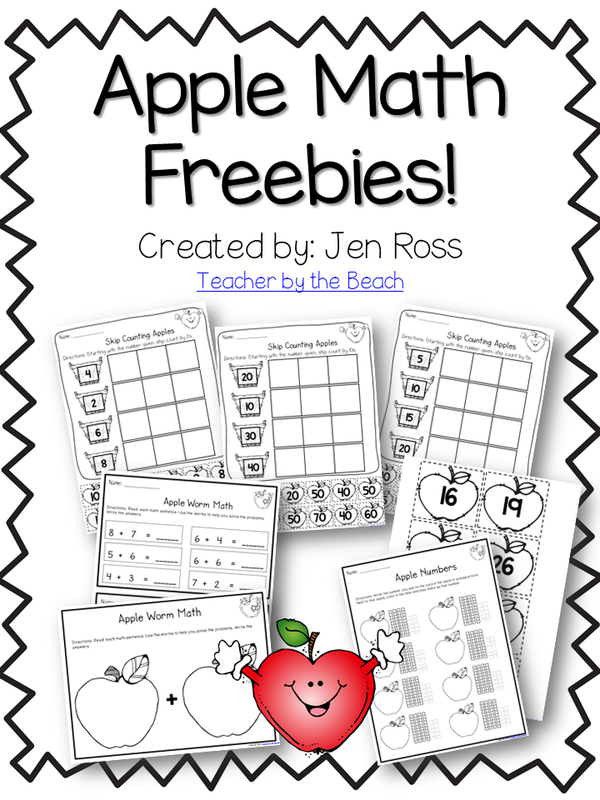 Make sure you download the file and then when you open it, you can click on all the pictures and links to go to the page to get the freebie or check out the pack. I'm also using an apple poem that I had in my files from A LONG time ago that I retyped and made it into a center and poetry journal insert. There are actually THREE poems in the pack, because I just like to keep all the apple themed poems in one file instead of hunting them all down - ha! For the Math Worm Center, I'm using my bucket of worms I have in my classroom. We used them to teach measurement in 2nd grade, but i figured they'd be great for this week too! 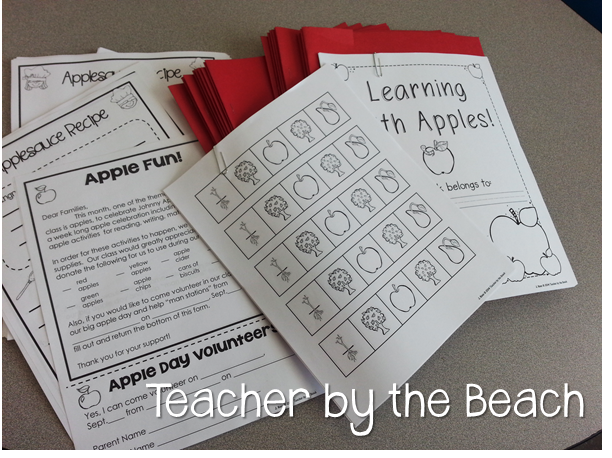 I took the activities in my Hands-On Learning with Apples Pack and turn them into books. 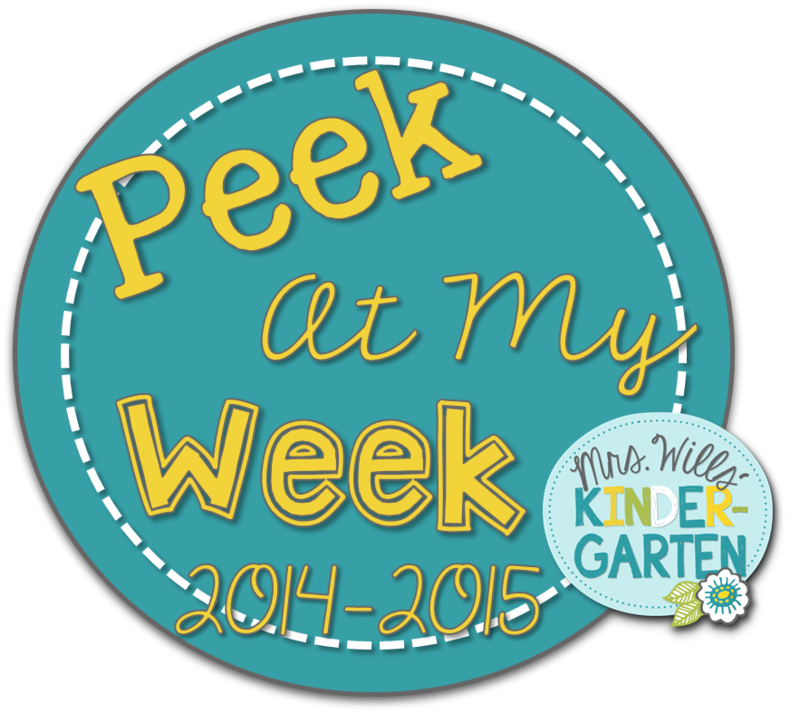 I pick and choose each year which activities I want to do and we work all week in them. To check out any of my packs I mentioned in the post, you can click the pictures below. Thank you for the poems! I love how interactive they are. You have a fun week in the works! My favorite Johnny Appleseed book is by Steven Kellogg. Thank you so much for generously sharing your hard work. It is inspiring! 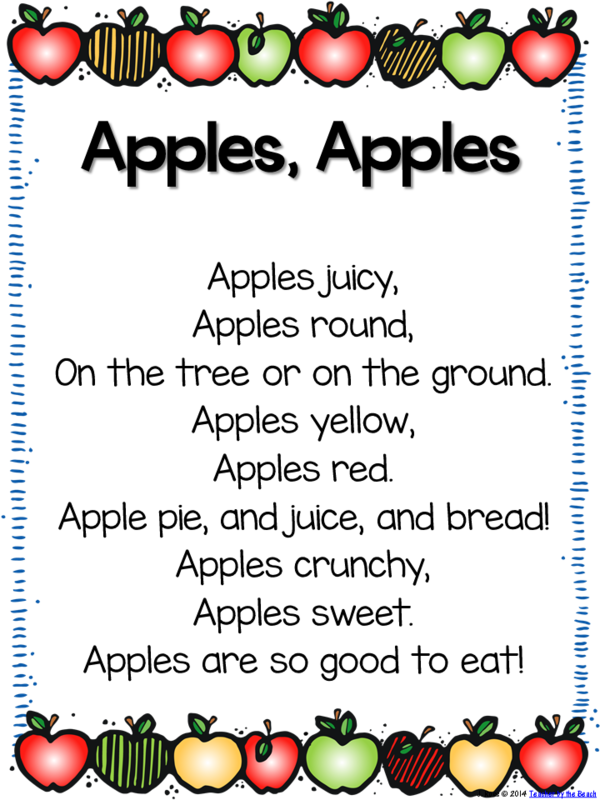 My kids are loving the apple poems this week! Wow, I think you've just convinced me to do my own apple week next week!